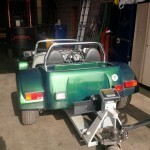 We have been retained to help out with the Practical Classics Westfield Project by helping to get the car through the IVA (individual vehicle approval) test. 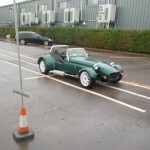 Having collected the car from the NEC following the classic car show we have been asked to use our extensive knowledge and skills to get the car ready to apply for the IVA. 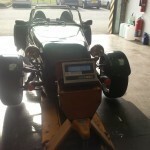 The work will involve intense scrutiny of the vehicle and working to bring it up to the standards required to pass the test. 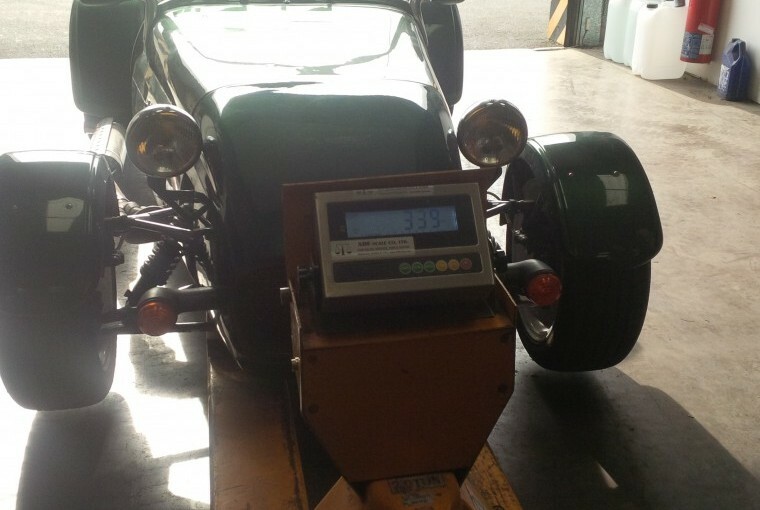 One of the first things we have done is to weigh the vehicle so that VOSA can establish the breaking efficiency and to give an accurate gross weight. 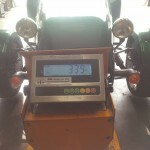 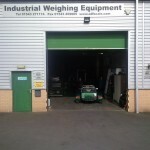 We would like to thank David French and his team from Industrial Weighing Equipment www.adfscale.com for all their help with that part of the process. 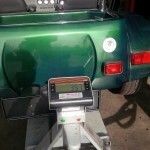 We will be doing a lot more work over the coming months to bring this vehicle up to the standard required to pass the test and we will be updating this post as we move along with the project. 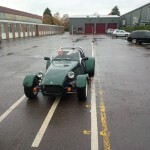 We have now taken the car for its initial test and have been complimented on the quality of build and presentation of the vehicle, unfortunately since the vehicle was built there has been some changes to the regulations by which the IVA works which resulted in the car failing due to the front indicator stalks being 50mm too short and the washer jets being 3mm over the required 5mm height. 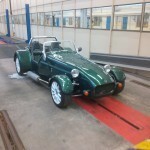 all in all an excellent result that leaves us with just 2 small jobs to complete to get the car passed. 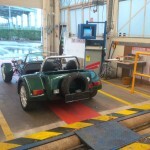 we have some pictures of the vehicle at the actual testing station below.